← Why Don’t You Play Videos Anymore? Wait. Did that really happen? Cold War edition part 1. The Dashing Foreigner in The Be-Ribboned Tap Dancer’s Hat. A Beautiful Model/Border Crossing Guard Who Was Born Female. Yes. It happened. 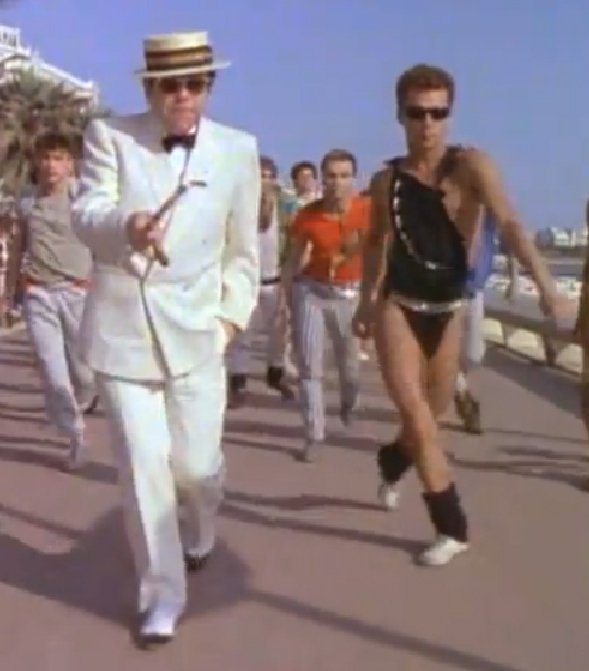 Other things that happen in this video for some reason: Elton and Nikita go bowling. 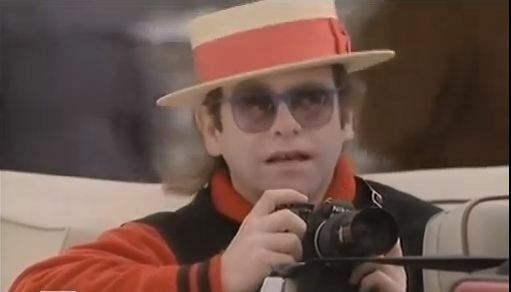 Elton wears many different caftans and tap dancer’s hats. Elton and Nikita slow dance at a weird European disco. They play chess. They watch a football game while Elton is wearing comically over-sized boots. Horrific. You can watch it if you want, or you can just pretend that the video’s star-crossed lovers are these two lookers…and all will be right with the world. Ah! Elton and Bruno! Isn’t that much better? No? Fine. But don’t say I didn’t warn you. This entry was posted in Wait...Did That Really Happen?. Bookmark the permalink.